This module is expired as USB is natively supported by the MBHP_CORE_LPC17 module! The USB module provides 2 MIDI In and 2 MIDI Out ports which are linked to the computer via USB. The driver is based on the official Device Class Definition from www.usb.org and plays together with every operating system which supports this class: WinME, Win2k, WinXP, Mac OS X, Linux, Pegasos, MorphOS and OS4. Note: the MIDI-USB device class is not supported by Win95, Win98, Win98SE, OS/2 or Mac OS9! The Microsoft driver isn't multiclient capable. This means, that only one program can allocate a MIDI port at the same time. The Microsoft driver isn't able to send one SysEx string which is distributed over multiple buffers without errors. The complete SysEx string has to be sent from a single buffer (this affects the MIOS download, in the MIDI-Ox port config menu, you have to increase the Low level Output buffer size from 256 to 2048). The Microsoft driver doesn't allow the USB module to change the device name. In the german distribution of Windows the ports are just called "Audiogeraet" (Audio Device). Use "regedit" and search for this name and change it to "MBHP_USB"
However, apart from these problems the module is running fine (under WinME and Linux...). If you build this module please don't forget to report me your experiences! The USB firmware is written in C, open source and licensed for non-commercial use only. The source code is released for people who want to improve the driver or just take it as first step into the world of USB. The code has been developed with the free available EZ-USB toolchain which can be downloaded from the Cypress website (Design Resources->Developer Kits->Universal Serial Bus->Full Speed Peripherals->AN2131-DK001 EZ-USB Development Kit->EZ-USB Development Tools V2.61.700 - 62 MB!). Note that these tools are not required to get the MBHP USB module running, the control panel which allows to upload the firmware comes with the mbhp_usb_v1_2.zip package! 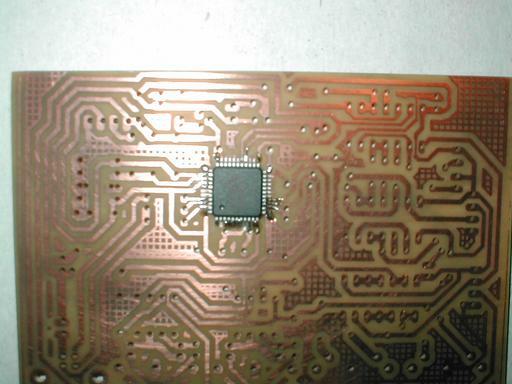 The heart of the module is the AN2131SC from Cypress, a 8051 derivative with integrated USB peripheral. 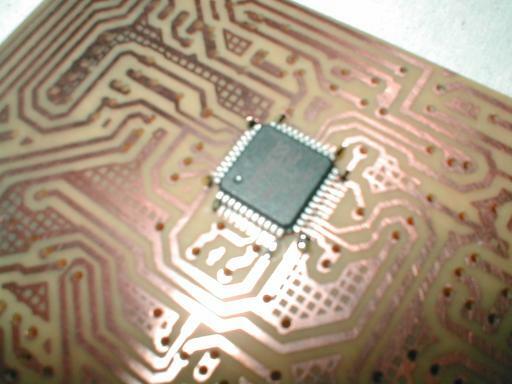 The advantage of this chip is the availability for hobbyists (Reichelt: 10.50 EUR, DigiKey: US $10.50), the embedded 8k SRAM which saves you from attaching an external memory, the IIC bootloader which loads the firmware from a EEPROM (24LC64) into the SRAM during power-on, and of course the free EZ-USB development kit. 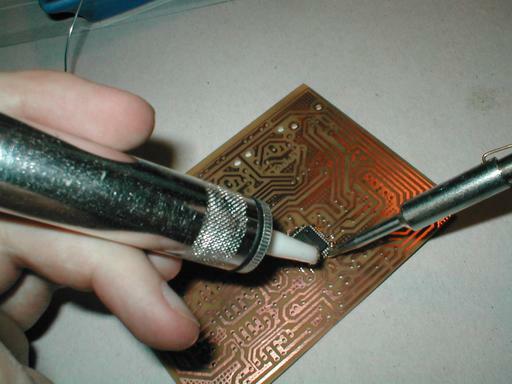 a good soldering iron or station with a small tip! 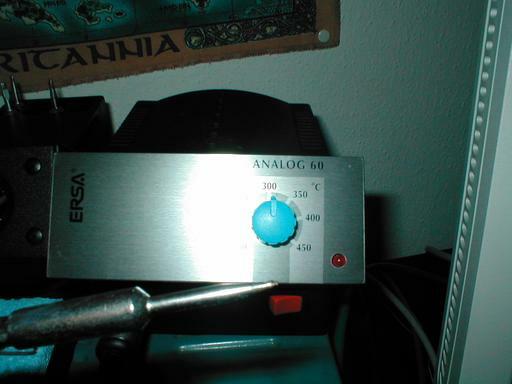 Best with temperature regulation (soldering temperature should be about 310° Celsius/590 Fahrenheit). If you are searching for a cheap alternative, buy a M-Audio MIDIsport 2x2 for about 90 EUR, search for a similar device at EBay or buy some second-hand soundcards with MIDI interface. 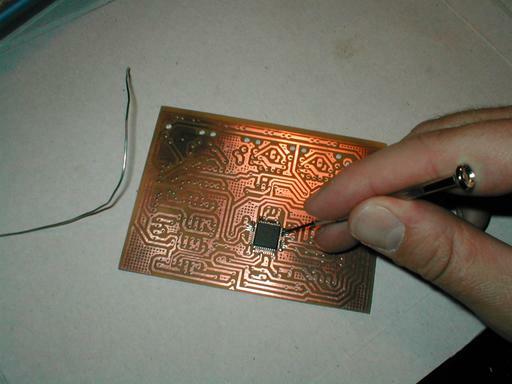 Note: the difference between mbhp_usb_v1 and mbhp_usb_v1b: we forgot to enter the "ratsnest" command before saving the file, therefore the ground plane wasn't visible as well as the connection between pin 3 and 4 of IC2. 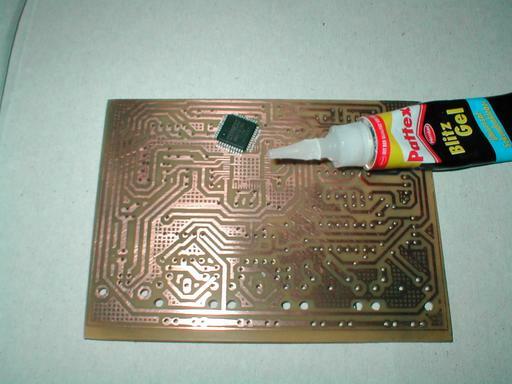 If you've created your own PCB, check that these pins are connected to ground. 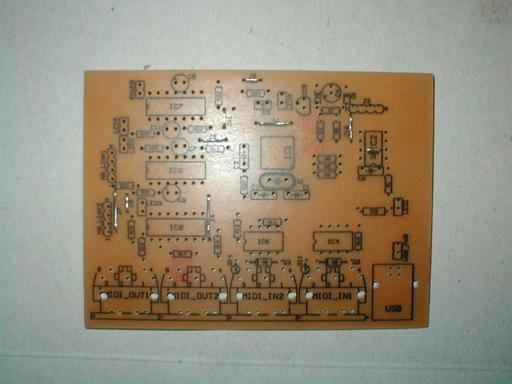 If you've ordered a premade PCB from Mike, you will notice that this connection is already there. 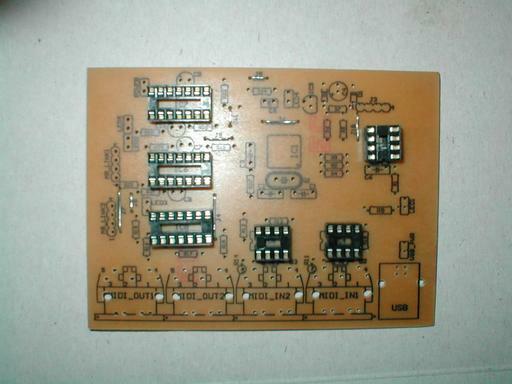 mbhp_usb_v1_2.zip 453k This package contains the precompiled firmware, the source code and the EZ-USB control panel. Note that the EEPROM can only be burned under Windows with the EZ-USB application. New: v1_2 contains a .syx file which can be downloaded via a MIOS core. A description about the various files has been added. Difference between v1_1 and v1_2: each port is buffered with 128 bytes now! J2 2 Connection to a Power-LED. Recommented for debugging! J8 4 Direct link to J11 of a core module, port #1. 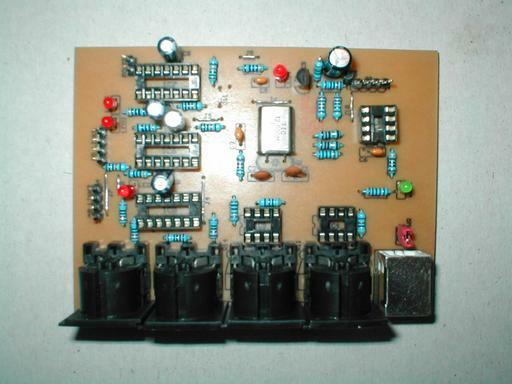 Note: the Vd pin (+5V) should not be connected to avoid power problems. If you would like to supply the core module, use J1 instead. Here are some photos made with the first protype. Note that the final layout "mbhp_usb_v1" looks different. 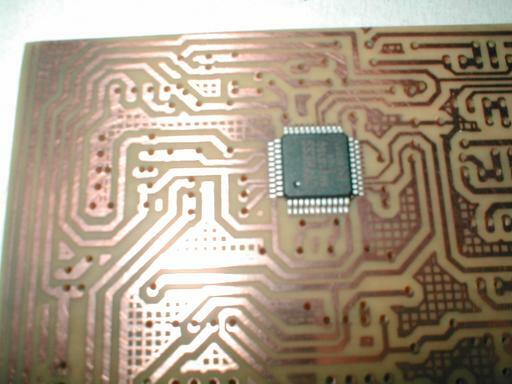 Comments will be added as soon as I've soldered the PCB from Mike. Not written yet. However, it's fairly easy: connect your Windows PC with the USB module, thereafter you will be asked for the EZ-USB driver which can be found in the mbhp_usb_v1_2 archive. 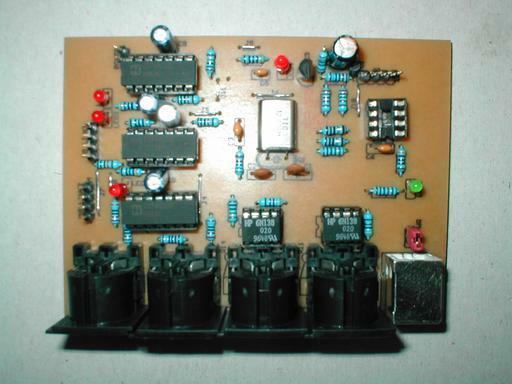 After this driver has been installed, you will be able to upload the firmware with the EZ-USB control panel. 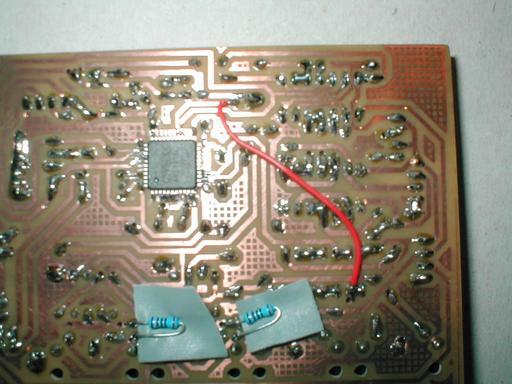 You are also able to burn the firmware into the 24LC64 EEPROM. 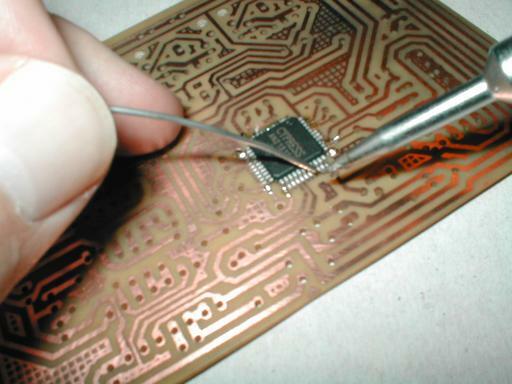 By doing this, the module will start w/o the EZ-USB driver and on other operating systems.